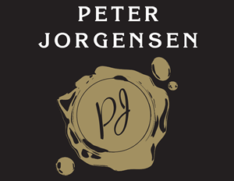 Peter Jorgensen showcases the master blender’s art with his Limited Release Vat series wines. This Shiraz highlights the rugged earthy characters of McLaren Vale and combines them with the sophistication and spiciness of the cooler Barossa ranges. The appearance is deep inky black with indigo, violet and crimson around the rim. It is high in alcohol and leaves long sticky legs on the glass. The bouquet is heavy with earthy dark fruits and typical ironstone minerality of McLaren Vale. Aniseed spice, black olives and savoury smoked bacon aromas add complexity. Oak and alcohol add a sweet perfume to the mix creating a vibrant, engaging sensation. The earthy, smoky characters follow onto the palate with firm, fine grained tannins giving grip and texture to the middle palate. The fruit is luscious and round with black pepper and aniseed spice adding to the dry earthy complexity. Oak is well integrated with a hint of coffee and mocha on the back palate. The finish is long and persistent with a nice dry edge. Lamb and steak dishes make an obvious choice for wines with this intensity as well as traditional Mediterranean cured meats and spicy tomato sauces. Its full dry finish makes it a great pairing with creamy soft cheese and dried muscatels after the meal.